Last month, BORP welcomed home Trooper Johnson, who returned from Rio after helping coach the U.S. Women’s Wheelchair Basketball Team to gold at the 2016 Paralympic Games, defeating Germany in the finals. Trooper, a two-time Paralympic medalist himself, brought considerable experience and expertise as Assistant Coach to the Women’s Team this year. “I cannot express how proud I am of the athletes that played, and what an incredible journey it was,” said Trooper. USA met up with Great Britain in the semi-finals in what would turn out to be the game of the tournament. Both teams shot great from the outside in the first half, but we were able to pull away early in the 3rd quarter and finished with a 89-78 victory to advance. The U.S. team shot 69.5% from the field during the game and had 36 assists for the game. It was simply amazing basketball. A team USA player on the Women’s Wheelchair Basketball team gets ready to shoot. Two players from Britain’s team try to defend. 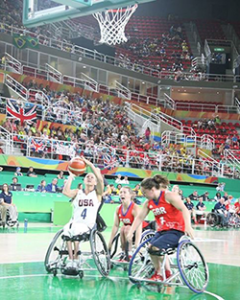 In the Gold Medal game, the U.S. faced off against Germany, the defending Paralympic Champions. We slowly and methodically picked our shots and played incredible defense to stop the much bigger team. Again, we shot great from the outside. The team battled throughout the game and fought off the runs Germany made to come away with a 62-45 victory and a GOLD MEDAL!! 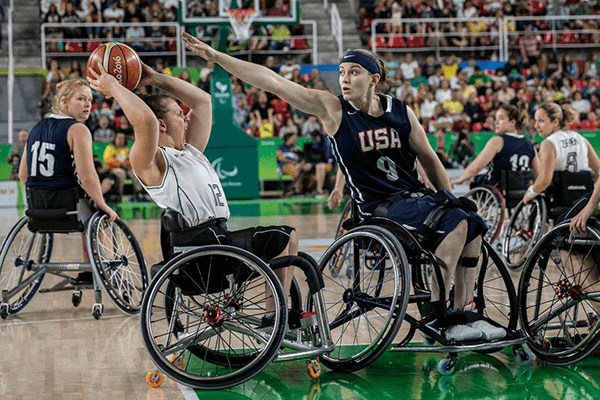 A Team USA Women’s Wheelchair Basketball player blocks a pass during the USA v Germany gold medal game in Rio. 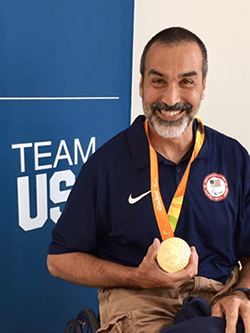 “The Board and Staff at BORP send our enthusiastic congratulations to Trooper Johnson and the entire USA Women’s Wheelchair Basketball Team for capturing the Gold Medal at the recent Paralympic Games! ” –Rick Smith, Executive Director at BORP. 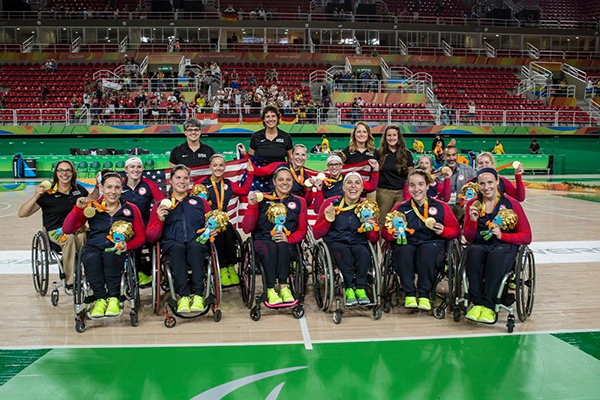 Group shot of the entire USA Women’s Wheelchair Basketball Team and Coaches following their gold medal win over Germany at the 2016 Paralympics in Rio. 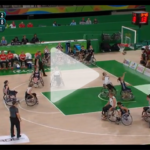 Video of the gold medal game between USA and Germany. Click to watch and listen to the game. We hope so too! To learn more about playing Wheelchair Basketball with BORP, visit our Youth and Adult Wheelchair Basketball program pages.